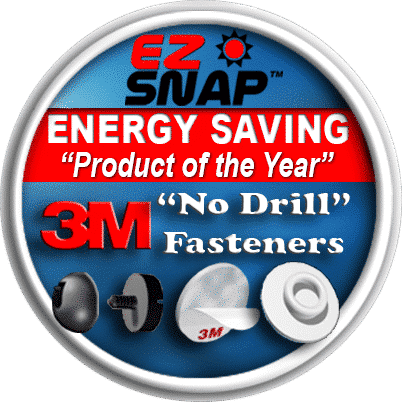 "Shade Product of the Year"
EZ Snap® Shade Screens are installed on the outside of your window, stopping up to 90% of the heat before it enters your home or RV. Quick and Easy. EZ Snap® Exterior Skylight blinds feature the “No Drill” 3M adhesive studs and our non-fray shading mesh that lets you “cut to size” for a perfect fit. “No Drill” 3M adhesive fasteners. Fit any size of skylight. Our Diamond Weave™ is a Non-Fray fabric that “Cuts to Size” for a perfect fit. The “No Drill” 3M adhesive studs means no holes drilled in your RV. Keeps cold air out & warm air in. EZ Snap® Exterior RV Shades feature the “No Drill” 3M adhesive studs and our non-fray shading mesh that lets you “cut to size” for a perfect fit. 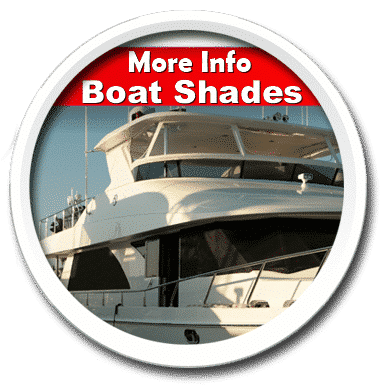 EZ Snap® Exterior Boat & Yacht Shades feature 3M “No Drill” adhesive studs and our non-fray sun shade mesh that lets you “cut to size” for a perfect fit. 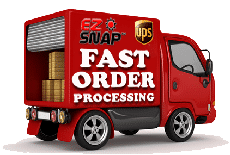 Everything you need to make your install a success form extra EZ Snap® removal tools to extra EZ Snap® fasteners. Check the accessories available for your project. 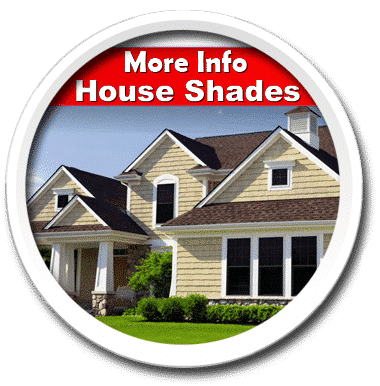 Shade Screen Video shows homes with exterior solar blinds on windows of all sizes, including arched windows, and the do-it-yourself installation. 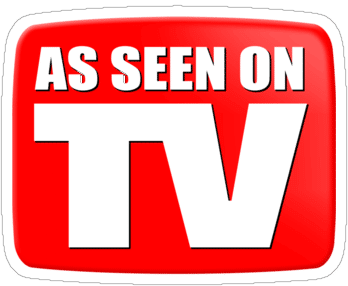 Tens of thousands of happy customers have enjoyed our “Middleman Free” pricing for over 15 years. Studies by the U.S. Dept. 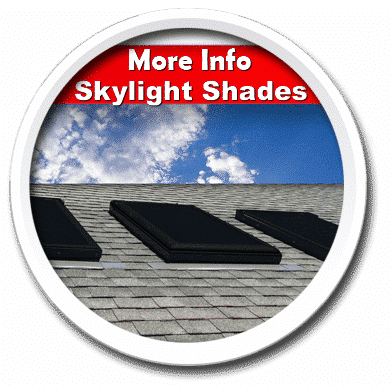 of Energy have proven that EZ SNAP® exterior window and skylight shade screens are up to 7x times more effective than interior blinds or window tinting. Install is quick and EZ, with no special tools or experience required. The “Non-Fray” EZ Snap® solar screen allows you to simply “Cut-to-Size” right on site. This gives you professional looking results, everytime. EZ Snap® blocks up 90% of the sun’s heat, without blocking the view! SAVE THOUSANDS and custom fit your own RV Skirting. Don’t worry, it’s as easy as it looks in our install video. The “non-fray” Diamond Weave™ RV Skirting fabric allows you to “cut to fit” right on-site. The edges will not fray and it doesn’t need to be hemmed or sewn. Also, our “No Drill” adhesive studs feature 3M VHB adhesive. This gives them an extremely strong bond that is able to withstand -40 to +40 degree temperatures. No need to drill holes in your expensive RV. 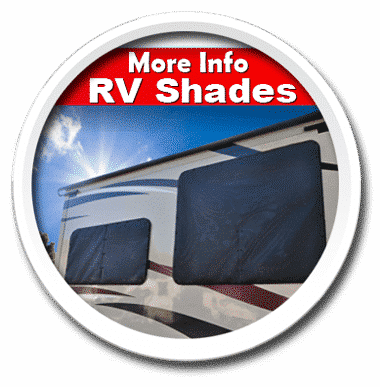 EZ Snap® RV shades not only make your RV more comfortable, they also protect your valuable investment. The easy to see through mesh is a non-fray material, allowing you cut and custom size your RV window shades right on-site. The “No Drill” adhesive studs feature 3M VHB adhesive. VHB stands for “Very Strong Bond” and it’s the same adhesive that is used to bond together commercial jets. Whether it’s a frigid Canadian Winter or Arizona Summer, 3M VHB can take it!